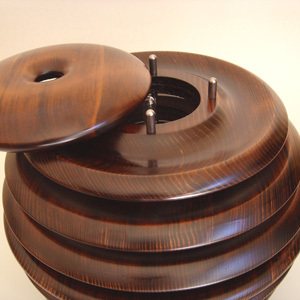 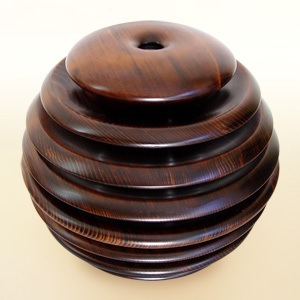 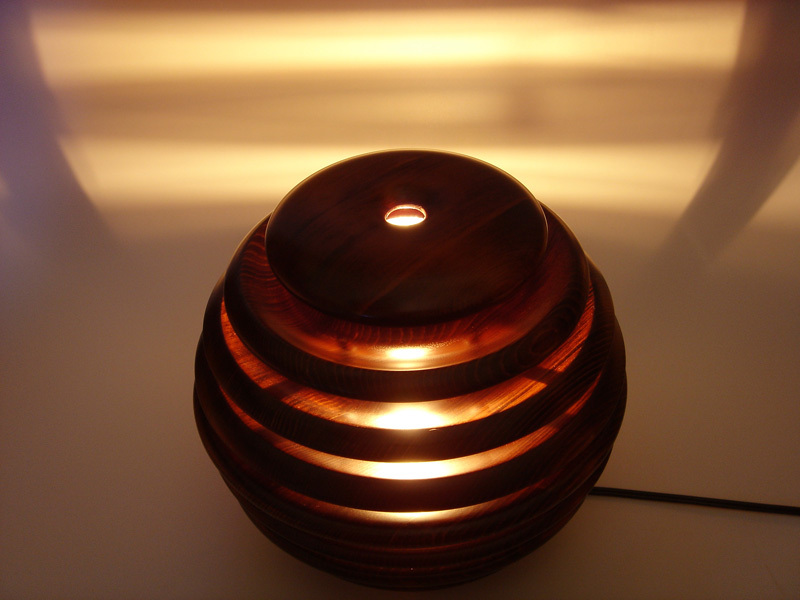 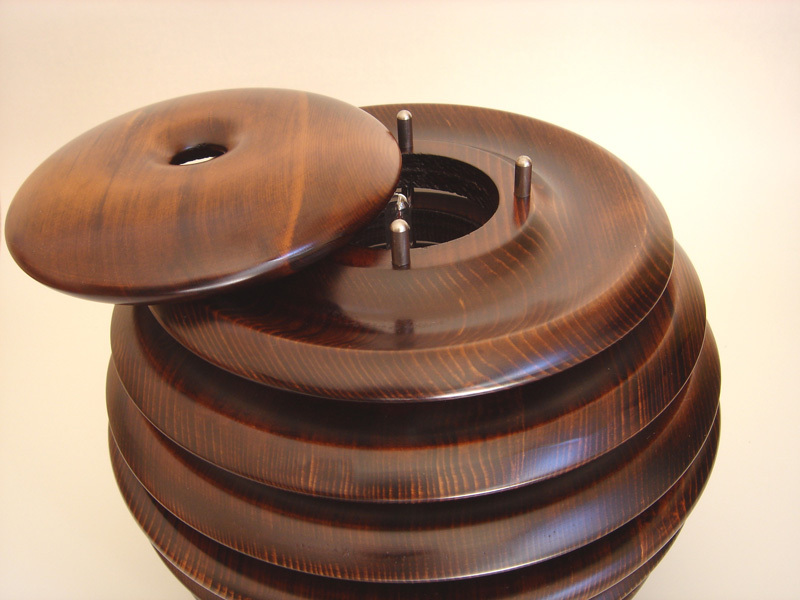 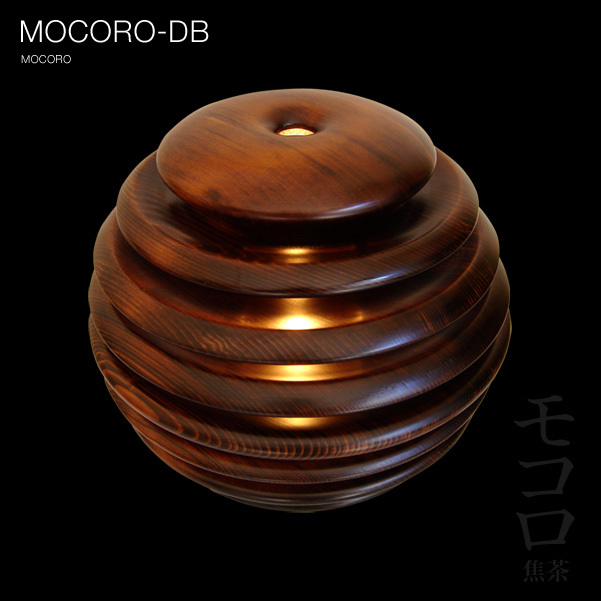 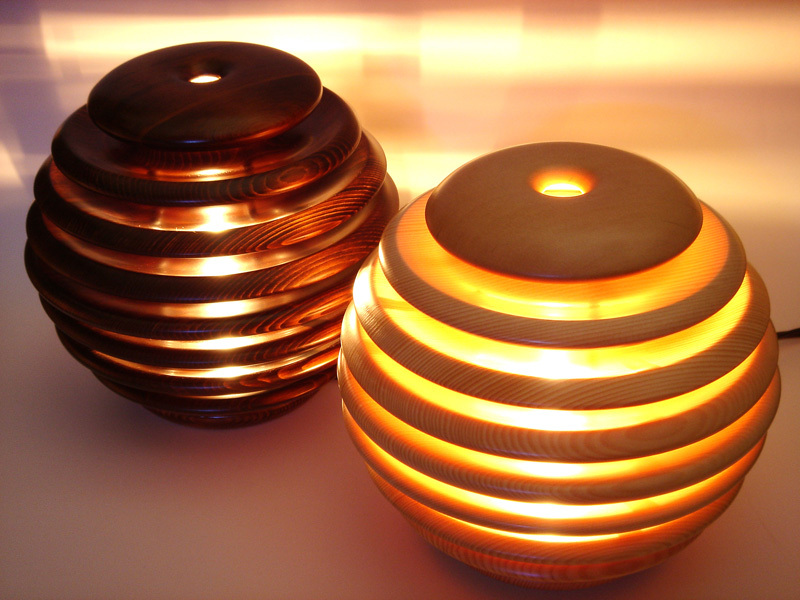 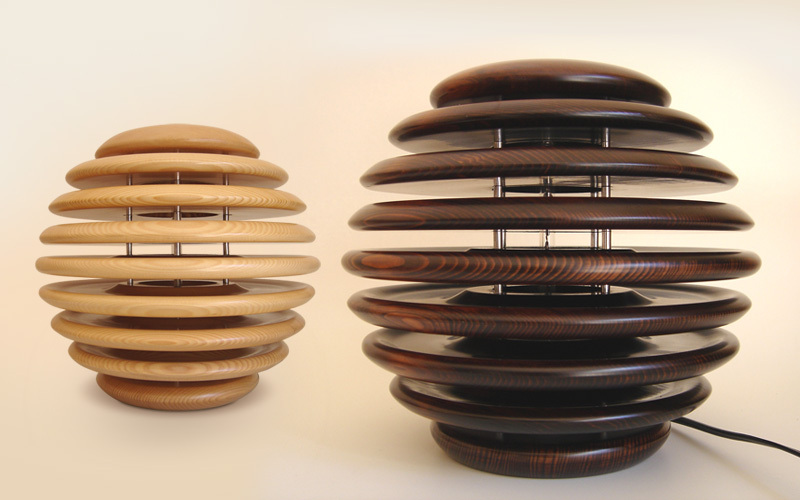 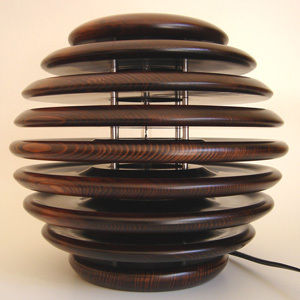 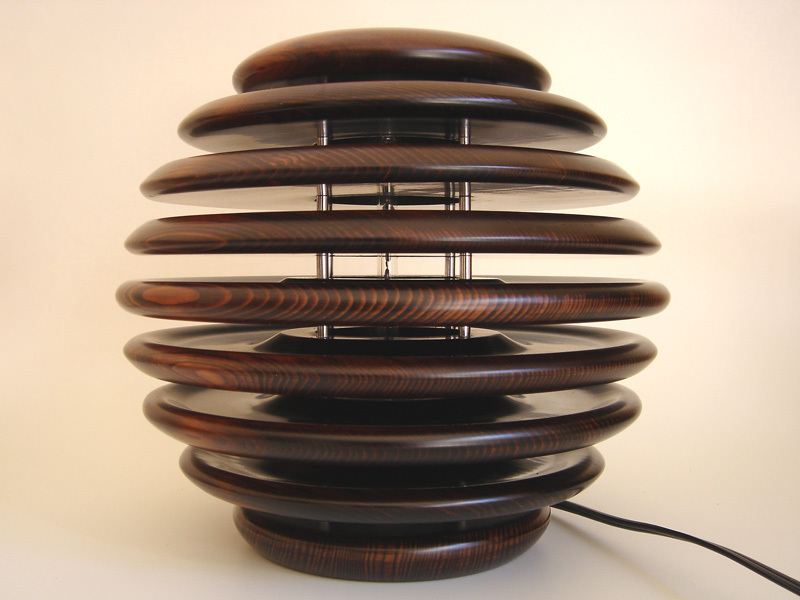 The Mocoro lamp is created using a wood-turning technique (Mocoro-rokuro). 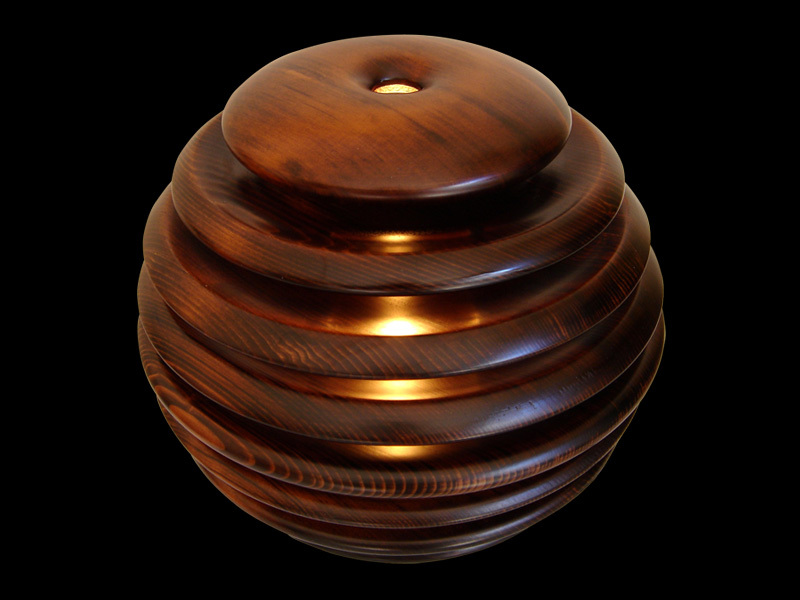 This kind of technique is similar to using a lathe and is often used to make bowls (Wan) and plates (Bon). 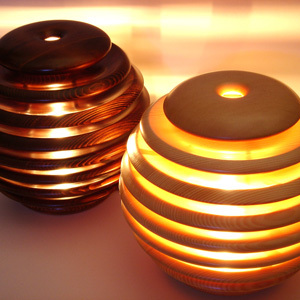 With nine softly curved plates of Hemlock fir (Tsuga), a pinaceous tree, coated with amino based paints (more resilient than conventional urethan coatings), the light that filters through the gaps between the strips casts a series of soft, soothing lines of light on the walls of the room. 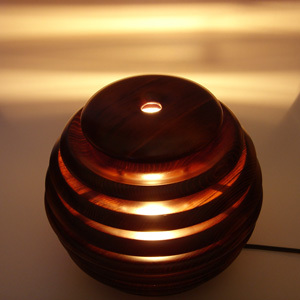 The indirect light will create an ambiance similar to the ambiance created by the traditional Japanese light (Andon). 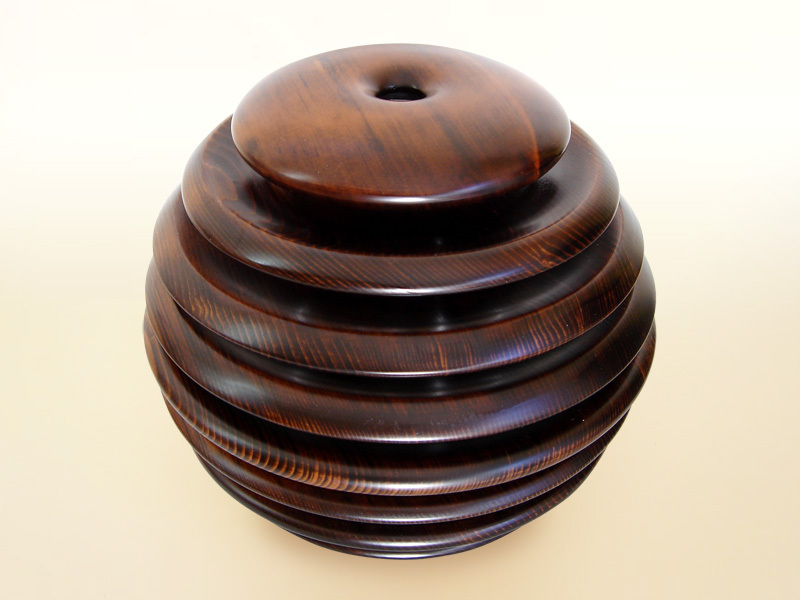 H9.05" x W10.23" x D10.23"